Another view of Clevedon Pier, this time from further away. I set this image up by putting out my tripod, composing the image and setting my filters up, then I sat on the beach, in the sunshine, and waited for the tide to roll in. Don’t let anyone tell you that photography isn’t hard work. 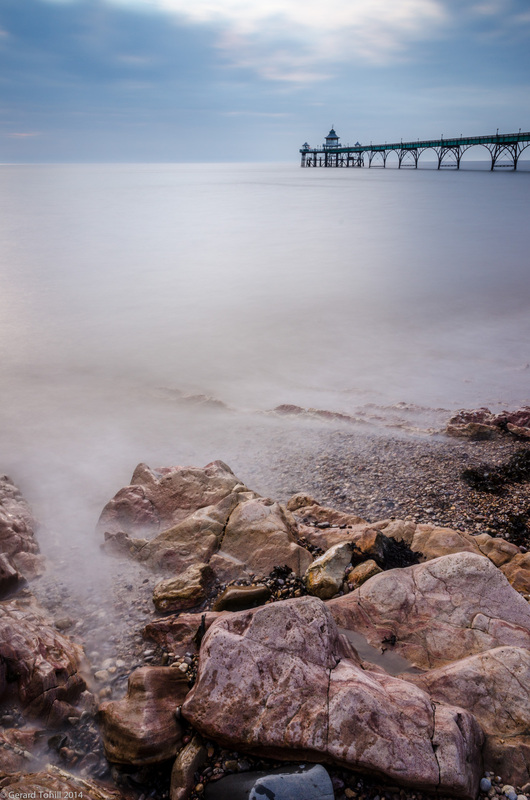 Photography stuff: 18-70mm lens at 18mm, 30 seconds at f/16, 2 stop graduated ND filter to hold back the sky, 10 stop ND filter, tripod, remote release, sun cream. It is hard work and a great image but sun cream??? Wonderful image! I hope you had a beer packed beside the sunscreen.